It is not uncommon for one parent, locked in the heat of a child custody battle, to accuse the other parent of domestic violence. That is why there are laws and procedures in place to adjudicate such allegations. Unfortunately, there are cases where the accusing parent may not accept the court’s decision and attempts to circumvent the legal process. The father moved to Florida shortly after the mother filed for divorce. The mother and child later relocated to Florida as well. The Virginia courts, however, retained jurisdiction over the child custody dispute. 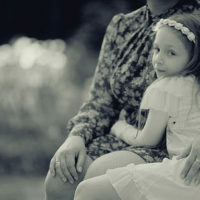 A Virginia judge eventually determined the mother could not corroborate her abuse allegations and granted the father supervised visitation rights. While the Virginia case was still pending, the mother attempted to file a number of petitions in Florida court, effectively repeating the same allegations of child abuse. Most of these petitions were dismissed, noting that Virginia still retained jurisdiction. The mother responded by moving, with the child, from Florida to South Carolina without notifying the court or the father. In April 2017, the Virginia court issued an order transferring custody of the child to the father. The judge explained the mother violated the terms of earlier court orders moving to South Carolina without notice and refusing to grant the father his visitation rights. This was enough to get a Florida judge to issue a domestic violence injunction. But the Second District quashed the order on appeal. It explained that under state law, when a Florida court is asked to make a decision in a child custody proceeding–which in this case includes a request for a domestic violence injunction–and a court in another state already has jurisdiction over the matter, the Florida court “shall immediately communicate with the other court” before taking any further action. The Second District said that did not happen here. The Florida judge never communicated with the Virginia court before issuing its injunction. The Second District therefore returned the case to the trial court for further proceedings. It is critically important to follow the law when dealing with allegations as serious as domestic violence and child abuse. If you are facing accusations and need assistance from a qualified Miami domestic violence defense attorney, contact the Law Office of Julia Kefalinos today.